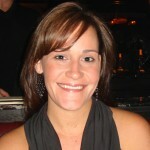 Medical research generates new ideas and innovation every day. To swiftly incorporate these developments into healthcare delivery, the South Australian Health and Medical Research Institute (SAHMRI) is an innovative diamond shaped 25 000-square-metre facility, designed to foster researchers’ creativity and productivity. With help from Schneider Electric Life Sciences solution experts, SAHMRI will realize its vision of a highly intelligent and responsive facility. In order to compete, innovation combined with productivity is essential for success. This is especially true for organizations in the medical research industry, like the South Australian Health and Medical Research Institute (SAHMRI). To further enhance medical innovation and accelerate developments into healthcare delivery, SAHMRI determined that their researchers need environments conducive to creativity and productivity. SAHMRI’s soon-to-be-home, a diamond shaped, cutting-edge, medical research facility in Adelaide has been built with an eye toward efficiency and sustainability. The building’s design includes elevated flower columns and a pine cone inspired transparent skin to allow plenty of natural light into the building. It includes wet and dry laboratory areas, modern research areas, and even a medicinal garden. SAHMRI’s building represents an innovative way to create a research and educational space that fosters collaboration and interaction among 650 in-house researchers. Consisting of flexible floor space, nine research modules, and a dedicated space for advanced technology, SAHMRI’s building is a welcomed addition to the Adelaide city skyline in Australia. Key to the building’s success was early engagement with Schneider Electric™ and the company’s EcoStruxure™ architecture. EcoStruxure integrates SAHMRI’s building systems into a single platform that includes heating and cooling, energy management, security, and lab controls, to provide efficiency and flexibility throughout the facility’s lifecycle. And the Schneider Electric solution also helped the SAHMRI building meet globally LEED certification standards. Check out this video that showcases Schneider Electric’s partnership with SAHMRI and how together they formed a solution that is truly a catalyst for cutting-edge laboratory research. 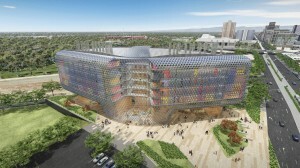 Medical research organizations, such as the SAHMRI laboratory, that create energy efficient environments which encourage creativity with the right temperature, lighting, and systems not only ensure researchers are at their best, most creative, and productive – but also distinguish themselves as sustainability champions. Not only are they finding cures, but also contributing to the long-term health of our planet. What other laboratory workplace settings can help improve medical research? Such as the appropriate temperature,lighting,dampness and professional operation staff. Yes, all of these things lead to the crucial efficiency in labs! Thank you for sharing, pharmacokinetic service!